Summer is a great time to complete a home improvement project, and painting your home might seem like a good idea—until you actually start doing it. With the heat in full effect and the potential to be enjoying other summertime activities, you might realize this is one project best left to professional painting contractors. High Temperatures: Wouldn’t you rather enjoy the comfort of your air-conditioned home or the fun of a swimming pool this summer? 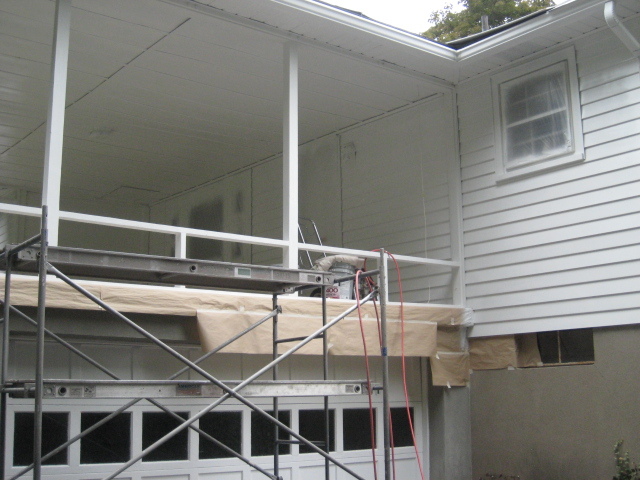 Gantner Painting provides painting services year round and can do the hard work for you. That way you can enjoy your summer without exerting yourself. House Painters Can Troubleshoot Problems: Exterior painting in summer can be tricky because of the heat and humidity, but the house painters at Gantner Painting have the experience and knowledge to get the job done successfully. They Work Quickly: It could take you days to paint the exterior of your house on your own. The painting contractors at Gantner Painting are skilled at painting large projects quickly, and they have more than 30 years of experience to do the job well. If you’re dreading painting your house but it needs to be done, you can count on Gantner Painting to do the best job possible this summer. They use high-quality products for longer-lasting color, and they also offer interior painting, pressure washing, and deck and patio refinishing. Gantner Painting prides themselves on quality service at affordable prices. Call them at (860) 225-8577 to get a free estimate, or learn more about their services online.